When it comes to brides, no two are exactly alike. 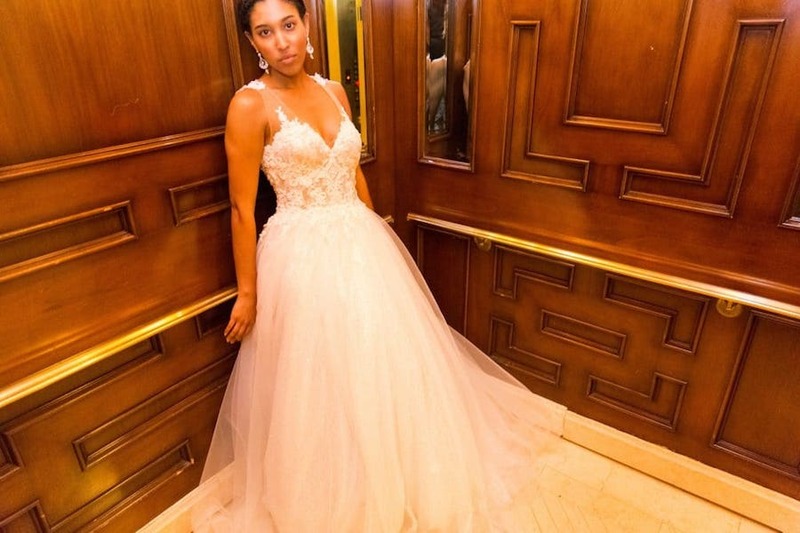 Each and every bride we meet wants to feel like absolute royalty on her wedding day, and her interpretation of what that looks like will depend on her own personal expression of elegance! No matter what her shape, size, or style may be, it is our goal to make every bride feel like a princess! Through designing delicate dresses and custom-made gowns, we are passionate about the process from start to finish. We recently sat down with one of the talented writers of The Urban Twist to tell all about our creative custom designs and share the special mother-daughter bond that sets us apart from the rest. In the interview, we told our start-up story, described our careful design process, and revealed what makes each of our wedding gowns so personal. Keep reading to see an excerpt of the story and find the full feature! “When I think of weddings, I think about two people who have come together and want to continue to build a strong foundation with love, trust, and assurance, so it’s no wonder daughter Naama and mother Anat produce such care and affection with their one of a kind design for wedding dresses…I reached out to Naama to get answers to how she makes sure her creations last way beyond [and after] her client’s wedding day. From our carefully cut lace to our fabulously unique fit, we take pride in our gowns and all that has gone into making them! To see the full story and get all the glamorous details on our delicate designs, click here! Last month we had the incredible opportunity to show our gowns at The Wedding Salon at the gorgeous Montage Beverly Hills. At the Wedding Salon Event “Guests have the opportunity to meet with the best in weddings”. 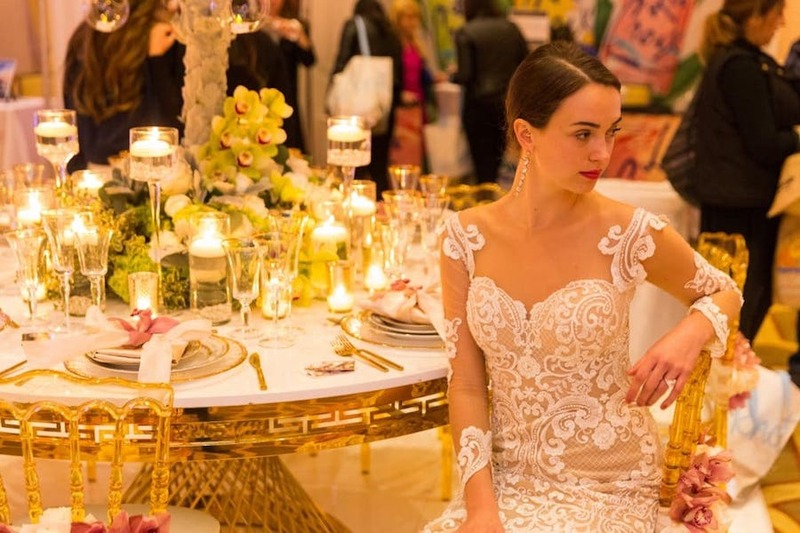 This exclusive showcase was an incredible opportunity to meet brides and introduce them to our gowns. 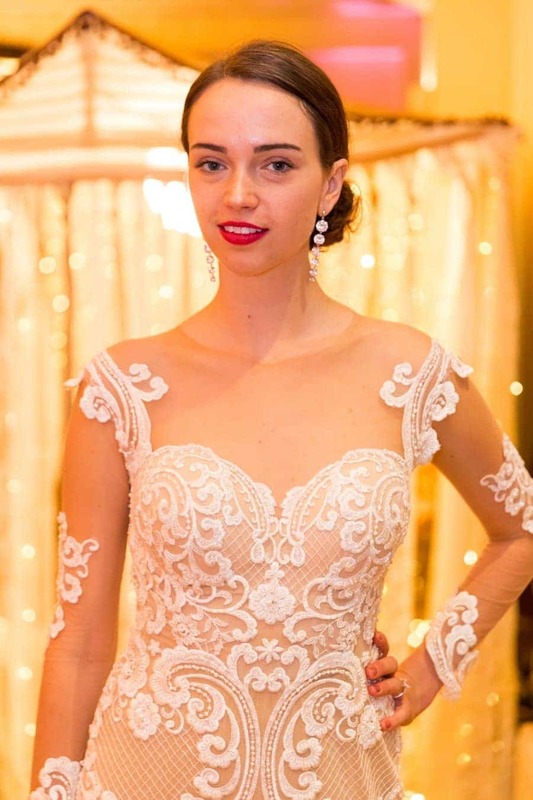 Our friends from Andrea’s Fashions and A Bride By Samantha showcased a few of our gowns on forms as well as two models who walked the event floor. One of the models was showcasing our Superior Gown from our Spiritual Design Collection and the other was featuring our Harmony Gown from our Starlight Collection. 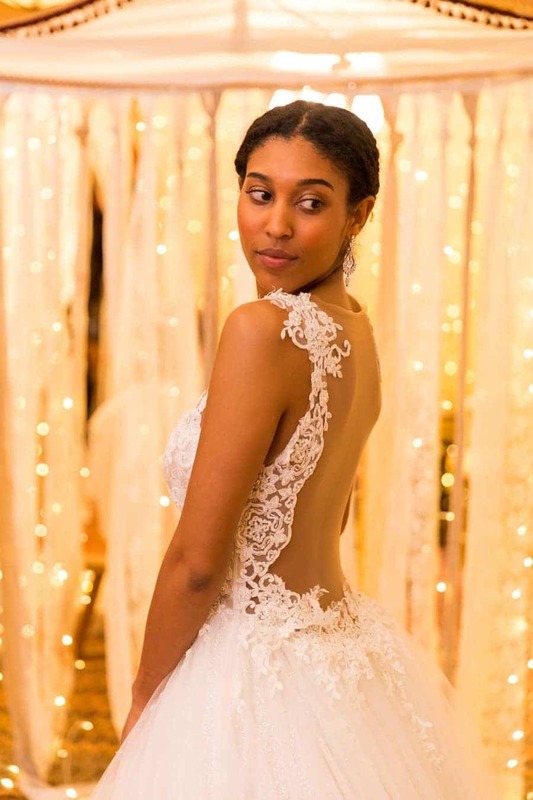 The gowns were focal points during the show as brides gathered at the booth to see the dresses up close and also talk with the models about the gowns as they walked the showcase. As guests stopped by the booth they were able to take a look at our Khalisi Dress from our Starlight Collection and the Soul Gown from The Star in You Collection. 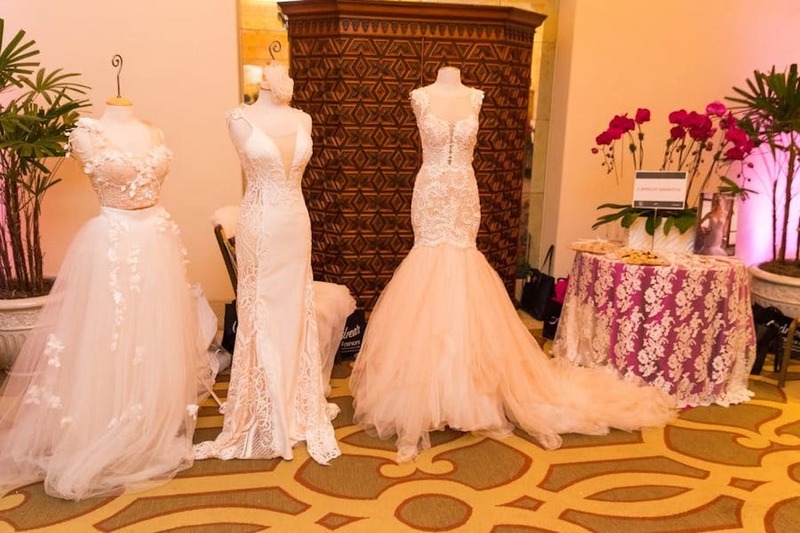 The Wedding Salon Los Angeles was a wonderful event to attend and showcase our gowns!